Time flies… Can you believe today is the last day of October? So true to our tradition, today I’m showing you pretty things that I have discovered and fell in love with during this month. Image above: A little bit of pastels, a little bit of brights. New additions to my nail polish collection. These multitasking shades will suit any occasion: from day to night and from a business meeting to the beach. From left to right: Sally Hansen Kook-A-Mango, OPI Metallic 4 life, NailsInc Baker Street, Darling Rubber Duckie, Essie Brooch The Subject and Power Clutch. I was introduced to the eponymous brand of Stephen Adderton at Beauty Bloggers Utopia conference. 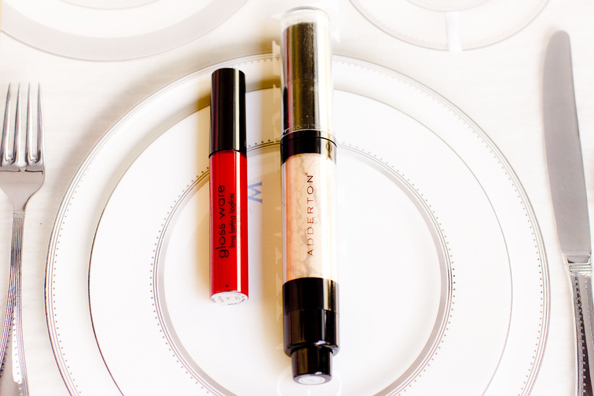 I particularly love the mineral loose foundation wand because of its convenient packaging and glowing effect it creates on your skin. The appearance of the red lip gloss is self explanatory. Out of all kind of jewellery I prefer necklaces. This lion head piece was added to my collection recently. Its amazing how a great statement necklace can transform a simple outfit into a full on glam look. See the gold necklace in action here and if you like mine, you can get a similar necklace here. 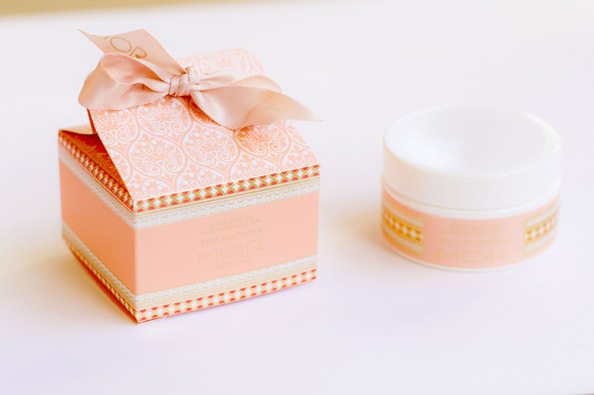 MOR Belladonna body butter. I’m usually not a fan of body butters but this one… I just couldn’t resist. Love its luxurious smell and immediate soothing effect it has on dry ares such as hands and cuticles. Love the electric blue & yellow nail polish!! Still loving that lion necklace from when I saw you wear it so I think that means I can get it and know that I will wear it to death! It’s such a pretty thing and gives you that little bit of ferocity you need to tackle some days! 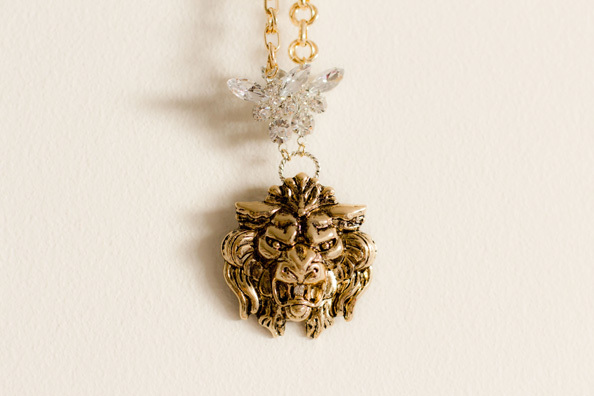 Still loving that lion necklace from when I saw you wear it so I think it’s safe to say I need it in my life and will wear it to death if I get it! It’s that perfect little hint of ferocity you need in order to tackle some days. Everything are such a good things and your pictures looks so…yummy! I actually have all of those nailpolishes and love them too.